Let your yes be yes and your no be no. 47% of Christians live with a constant feeling of guilt over a wrong decision they have made. How can we make choices in life that will produce good results, so we would not punish ourselves for our decisions. 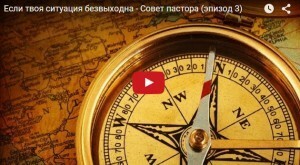 Watch Pastor’s Advice (Russian language).